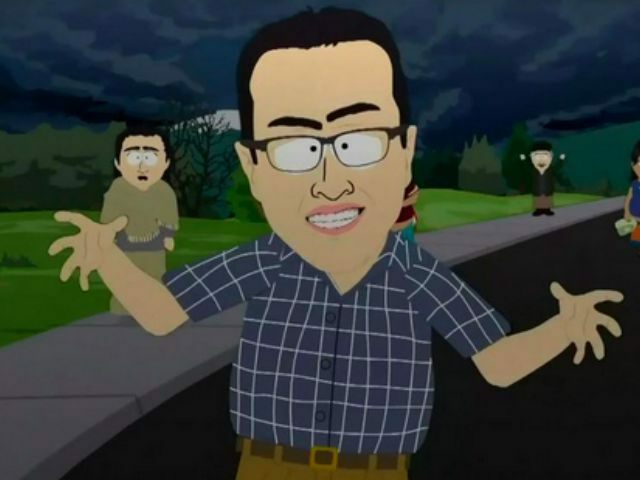 Using Bruce Jenner, Tom Brady, Brett Favre, frat boys, and a cameo from former Subway pitchman Jared Fogle, South Park took on America’s problems with political correctness Wednesday in the politically incorrect fashion fans have come to expect. “Stunning and Brave” kicked off the show’s 19th season, and seeks to capture the mood of viewers feeling stifled by cultural sensitivity, while also poking fun at the National Football League and a number of other hot topics. The new head of South Park immediately announces his displeasure with the town’s history, and begins to issue threats relating to the townspeople’s “bigotry,” after noting the school has only one black student, Token. After P.C. Principal takes over the school, he ensures correct language language is used (e.g., gender pronouns) by students and faculty members, and eventually others in the small Colorado town. P.C. Principal concludes Bruce Jenner is “a f—ing stunning woman,” while making it clear he will resort to using violence to ensure everyone plays nice.